Refurbished Advanced Instruments Micro Osmometer m/n 3300. OPTIONAL: Disposable chamber cleaners & sample tips. The Advanced Instruments Model 3300 Micro-Osmometer determines the osmolality of solutions using freezing point depression (FPD). It is ideal for serum, urine or other bodily fluids in clinical applications; and media or formulations in pharmaceutical, biotech or industrial applications. 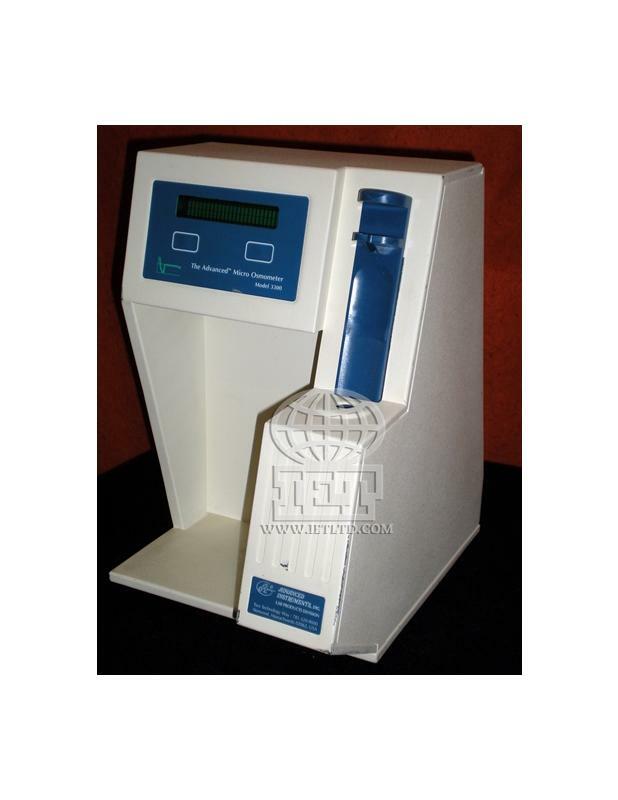 Please contact us with complete osmometer system details.